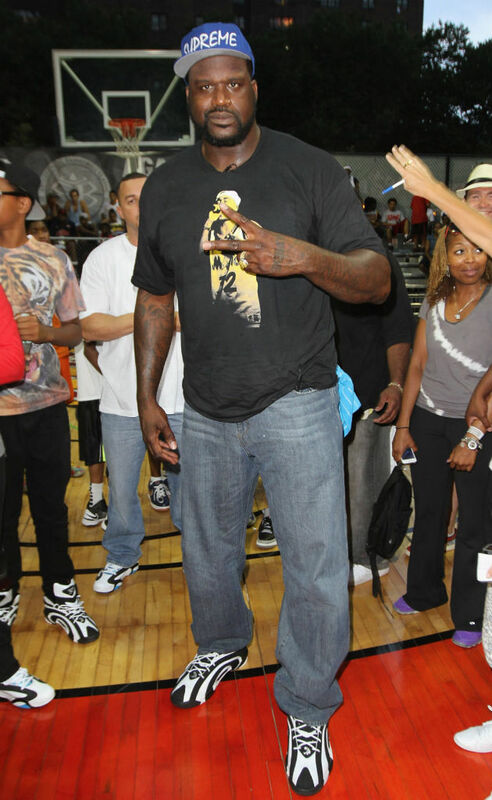 Shaq promotes his new movie and Friday's Shaqnosis release. 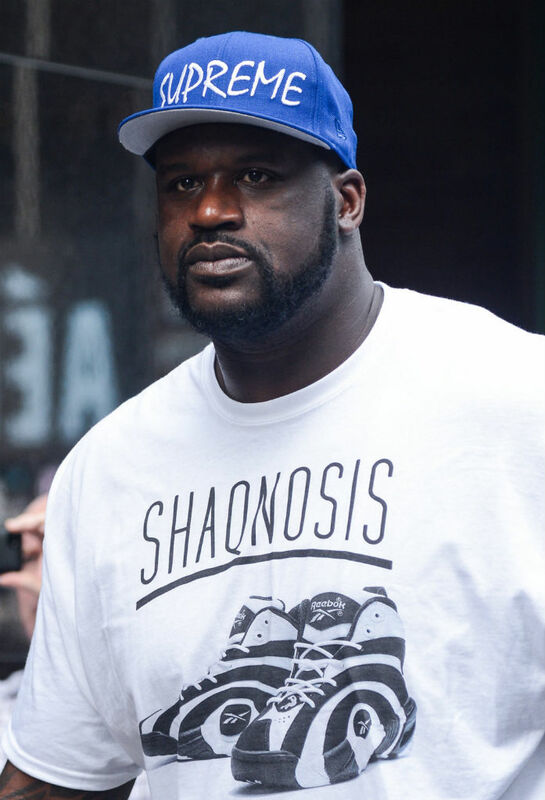 It's a big week for retired NBA legend Shaquille O'Neal, co-star of the new movie Grown Ups 2 with Chris Rock, Adam Sandler and Kevin James. 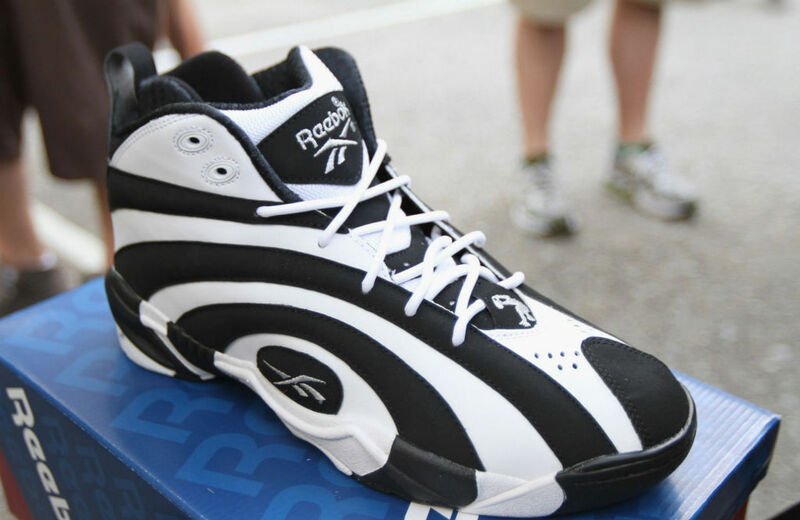 In addition to the film's official release this Friday, Shaq will see his Reebok Shaqnosis signature shoe return to retail for the first time since its original 1995 release. 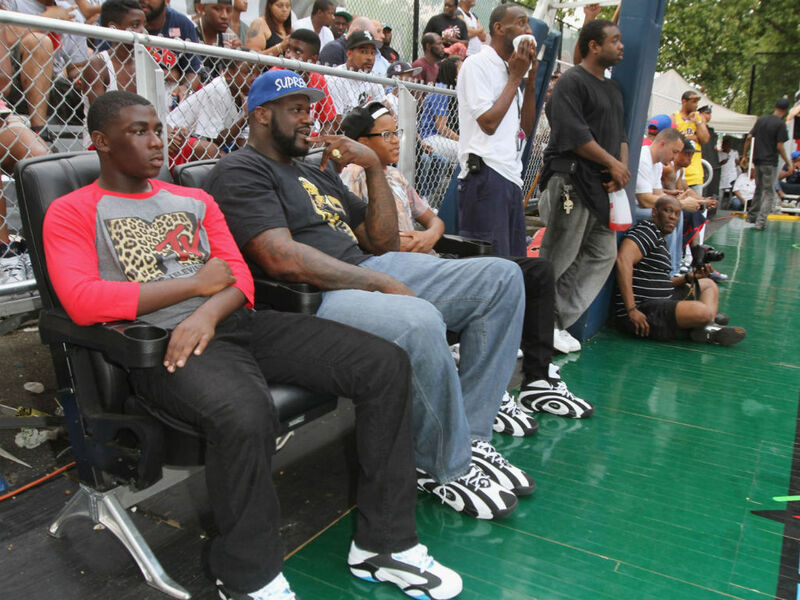 Doing a little promo for his ventures, Shaq coached Team MMG at the world famous Rucker Park last night and appeared alongside his Grown Ups 2 co-stars on Good Morning America this morning, laced up in the Shaqnosis for both events. 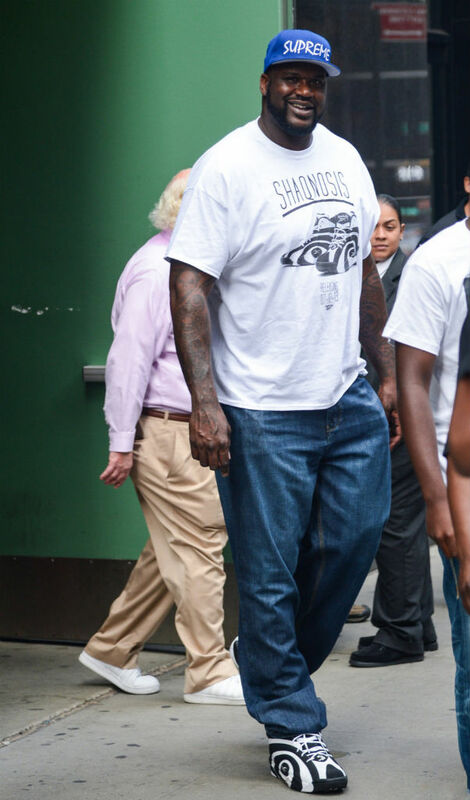 He also wore the matching Shaqnosis tee on GMA. Eighteen years later, it's great to see the Big Fella in his classic sigs again. Will you be grabbing a pair this weekend? 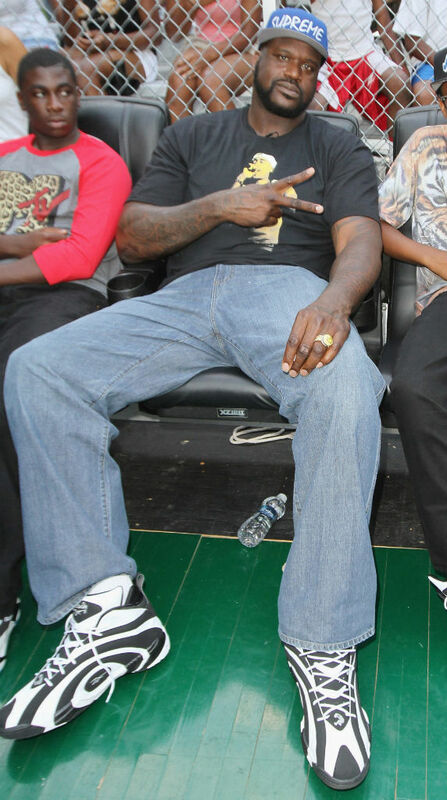 Check out a few shots of Shaq in the Shaqnosis below and let us know what your plans are.